Hit radio show host Annalise Waters is challenged on-air when social studies teacher, Christopher Sanders, accuses her of being cold-hearted toward the needs of the local children’s hospital. Afraid of public backlash, the station arranges a fundraiser for the hospital, with Annalise at the head. But it’s a fundraiser that drags up painful memories from Annalise’s past. Christopher hadn’t intended to be hustled into a fundraiser—he’d only wanted to make a point. But as he spends more time with Annalise, and realizes his mistaken judgment, he can’t deny the growing feelings for the woman who is anything but cold-hearted. Will she ever forgive his on-air accusations and see the depth of his true feelings? Annalise pulled two steaming cups close as she scooted past a coworker in the hallway. Sam stood down the hall at the door of the studio, with her hands on her hips and an exasperated expression on her face. “You’re on in thirty seconds!” Sam’s call from the end of the corridor urged Annalise forward. “I’m coming!” She rushed as Sam shook her head and hurried inside. Annalise could almost hear her thoughts: Why can’t that girl make it on time? She set her coffee at her desk and hurried to Sam’s side to offer a hot chocolate peace offering. “You know I love you,” she said with a wink. 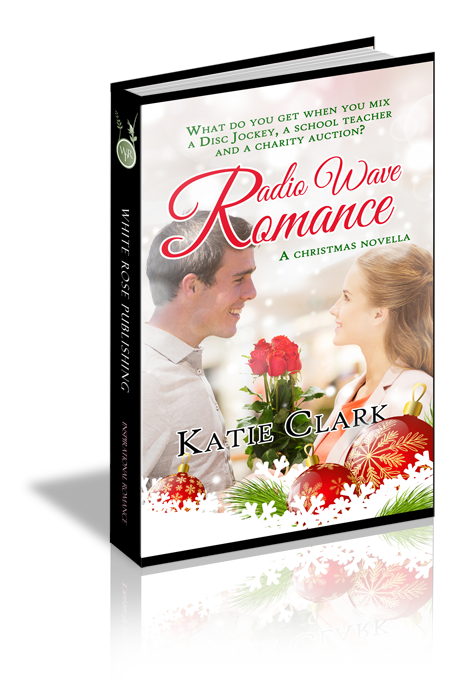 Then, she slipped into her own side of the two-room studio and grinned across the glass at Sam. Sam smiled and rolled her eyes as Annalise jerked the headphones into place. “You’re on in five, four, three, two, one.” Her voice carried through the small pass-through that had been cut out from the bottom of the window separating the rooms. “Clear,” Sam said. She leaned back in her seat and shook her head, her long, graying curls bouncing around her shoulders. It was only the twinkle in her eye that gave away her true feelings—she could never be mad at Annalise. At least, that’s what Annalise liked to tell herself. “Why do you insist on doing this to me?” Sam teased. “I’m glad for your love every single day.” Annalise removed the heavy coat, hung it on her chair, and then flipped through the day’s script. Script was a loose word. It was more like a few notes scribbled on a piece of paper from Sam’s husband’s hotel letterhead. Some days it was longer, but today, the checklist was short, just a few points she should touch on throughout the show. “I can’t help it when people want to argue with me,” Annalise defended herself. Just thinking of the woman who had started an on-air feud made her blood boil. “Doesn’t anyone screen these calls?” The plea sounded true enough, but deep down she knew the truth. She thrived in the midst of conflict. It got her blood pumping and her adrenaline rushing. Made her feel alive, which was important. Sam didn’t reply, but she narrowed her eyes. OK, so maybe she could have been a little nicer. She would try harder. It would make Sam happy, if nothing else. Besides, once they’d gone off the air, Annalise had offered to meet with the lady to work out her budget—which the pot stirrer had refused. Annalise slipped the headphones back into place and adjusted herself more comfortably. She hated the weekly Q & A, but when ratings had taken a slight dip, Mr. Winslow, the station owner, had scrambled for something to keep her afloat. The Fiscal Responsibility segment was Sam’s idea. She switched over to the affiliate news station, who jumped right into the latest traffic pile up. Sam sat across the glass, already taking phone calls and questions. Annalise took another swig of coffee, which had finally cooled to an acceptable temperature. The sweet but bitter warmth spread through her. It loosened her muscles and mind as she pulled out the financial guru stuff the bosses had put together for her to reference. She’d read through it multiple times, but when it came to answering these people’s questions, having it nearby gave her a boost of confidence. The traffic, weather, and news went off without a hitch, and Sam gave the nod. Annalise leaned toward the microphone, ready to go live, and this time she was ready. She waited for Sam’s fingers to tick down. “Charitable donations are a great way to get tax breaks. So as long as it’s in your budget, I say go for it.” She waited for the standard “thank you” that always followed. Heat erupted in Annalise’s ears, and she turned worried eyes to Sam. Sam frowned and bit her lip, but the public was waiting. Dead airwaves were bad airwaves. Annalise fumbled for something to say. “And what would you suggest?” That was as good a save as any. The heat faded into a throbbing, a deep spasm in the pit of her stomach. It spread quickly to her heart and brain until she couldn’t block it out. “Once or twice, yes,” she forced out. Painful memories flooded her mind. Sam nodded and hurried to switch the station to music, while Annalise stomped to the bathroom. Images from the past raced through her head—hospital beds, beeping machines, and worried faces that would never leave her mind’s eye. She turned on the faucets and splashed cool water over her cheeks and eyes. Then, she grabbed a paper towel to dry herself off. What a disaster. Now she looked like a monster, and they were going to be getting hate mail and who knew what else. The nerve. How dare anyone question her donations? She gave to her church, above and beyond what she tithed. It wasn’t anyone’s business what she did with her money. She closed her eyes and leaned her head against the mirror. It was everyone’s business. She was a public figure, and people wanted to know. They always had and they always would. Now the station was going to get demands that she prove what types of charities she supported. It was going to mean public announcements, fundraising events, the whole shebang. And that meant people would be getting to know her. Asking her questions. Digging into her past—a past she didn’t want to remember. Annalise went back on the air like nothing had happened, but her mind was never far from the caller. The guy who thought he should challenge her on the air, for all the world to hear. If she ever met him in person, she’d give him a piece of her mind.